Your insurance agents can communicate effectively in real time with clients using VeriShow’s platform, with live video chat, co-browsing and content sharing. Live video chat with a remote live expert (that can also share live content and website pages) is an efficiency that addresses the growing need of many organizations. In particular, insurance companies can manage their support service, labor cost, increase conversion rate, and improve the overall service quality and ROI. 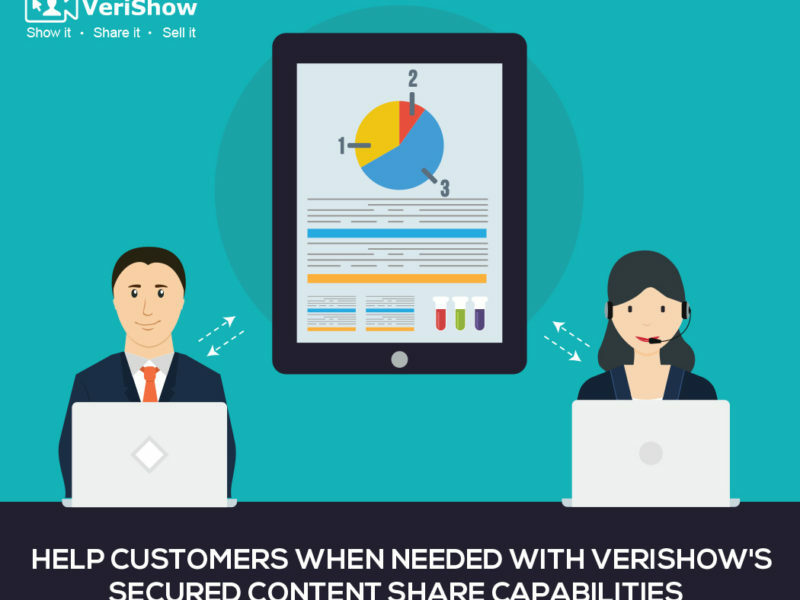 VeriShow’s multi channel live communication and content sharing platform provides a face to face live help capability at the highest level of human interaction. The unique VeriShow platform operates on mobile devices, on the web and as in-store smart live stations. The web-based technology is developed for and being used by organizations to provide remote live support and sales via websites. Communicate with customers using live text, voice and video. Complete insurance and claim forms together with your customer, and guide them in the process. Share, review and annotate documents with the customer in real-time, to explain, provide support or present marketing materials. Fully browser based, no downloads or installations required. A visitor to an insurance company web site requires help with purchasing a certain home insurance policy. The customer initiates a chat session by clicking the Live Help button on the appropriate page. An agent takes the call and activates the video at her end so that the customer could get support to the highest standard – communicating with a real person. The customer decides whether he or she wishes to communicate back with chat, audio or audio video. The agent also activates the Online Document Sharing area, where relevant content could be viewed and annotated. She shares a PDF file specifying the policy cover. She then completes the application form with the customer and each save it locally on their machine. The customer prints, signs and sends the form back to the company and the purchase is complete. Where electronic signatures are legally binding, it is possible to use VeriShow’s electronic signature feature to sign the document. This scenario demonstrates how the platform can be used to provide better service and increase sales. For more details and information, contact VeriShow today! Call 1-855-427-5227 or send an email to sales@verishow.com.